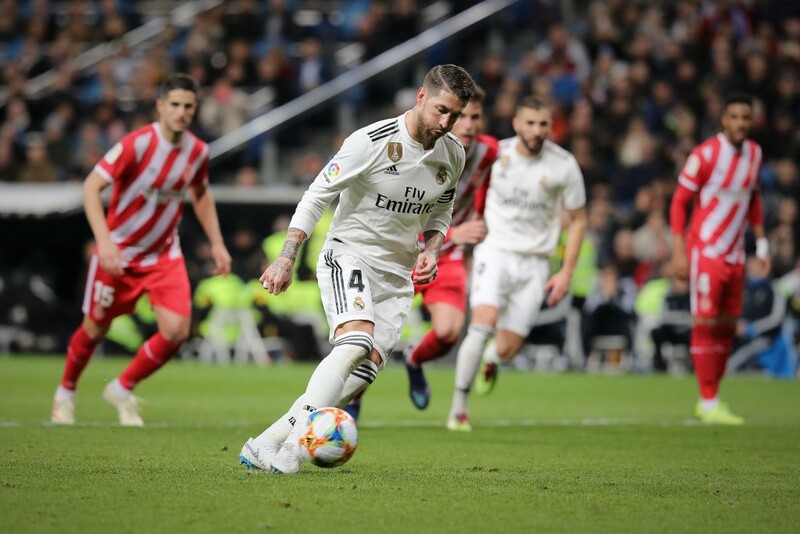 Real Madrid got a good result (4-2) in the first leg of the quarter-finals tie in Copa del Rey against Girona in a tough evening. 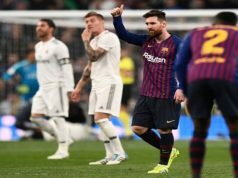 The Catalan team took the lead in their first shot and they also balanced the scoreboard with a stupid penalty, but Los Blancos overcame the difficulties to get a good result for the second leg next week. 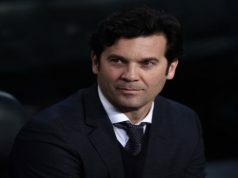 Solari wants the Copa del Rey title and he put his best line-up, with Odriozola and Marcelo in the defense line. There were also some minutes for Toni Kroos and Marcos Llorente, who came from injury, but Isco is still the forgotten one. Solari doesn’t want to throw away this tournament as Ernesto Valverde did with FC Barcelona not making a good line-up to face Sevilla. This tournament is important for Los Blancos this season. And it was far away from being a pleasant evening. Girona took the lead very soon, in the 7th minute, with a goal scored by Lozano in the only shot in the first half. Odriozola and Marcelo failed in defending their sides and the Catalan team took the lead. 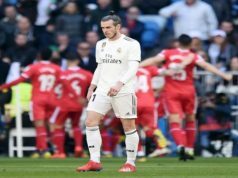 Some weeks before, Real Madrid couldn’t overcome the difficulties but the team is improving and they were able to have advantage by the end of the first half. Lucas Vázquez and Sergio Ramos, again with a Panenka style penalty, scored the goals. Again Vinicius Junior was one of the best players in the pitch. He gave the assist to Lucas Vázquez in fhe first goal and left some brilliant dribblings. Karim Benzema, who scored the last goal thanks to an assist from Vinicius, was also one of the best players again. However, the problems still arrive when Marcos Llorente made a stupid handball inside the area. Granell didn’t miss his chance to level the scoreboard (2-2). Real Madrid didn’t panic and they were able to get the advantage for the second leg. Sergio Ramos was the great captain and made the third goal with a great header after a perfect assist from Marcelo. And only two minutes later, Benzema scored his goal thanks to Vinicius. Good result and another good performance to be optimistic about this team.